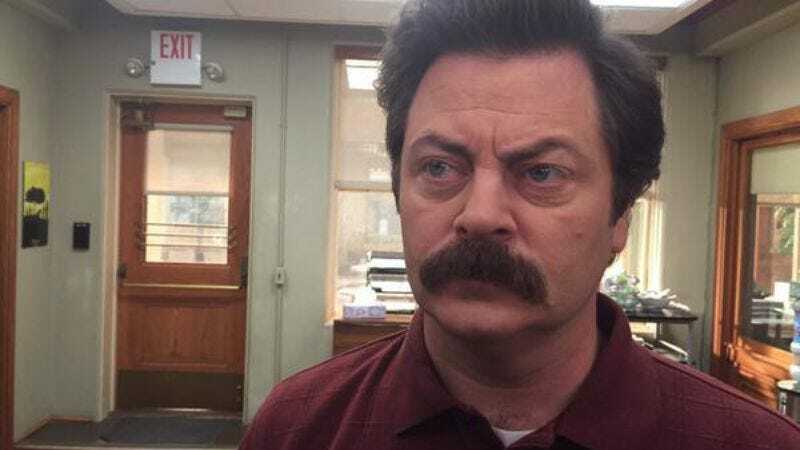 Today is the last day of shooting for Parks And Recreation, and if we’re this sad about it, we can only imagine how the actual cast and crew feels. Michael Schur’s Twitter feed is giving some indication, as he’s spent the day posting behind-the-scenes pics from the set. Most of the pics are old—of props from 2011 or from scenes shot before today—but they’re sentimental all the same. Other cast members and writers on the show have chimed in as well, and some of those tweets are below. The show’s finale airs February 24, 2015. Soothe your injured soul with the smooth, slightly confused sounds of Mouse Rat until then.